Cortech Developments is pleased to announce that its latest major software version, Datalog 5, now offers full integration to Harper Chalice’s suite of perimeter protection systems. “This is another example of bringing together innovative technology to deliver benefit to the end user. Perimeter systems of this nature in combination with Datalog address many of the challenges that are faced by environments that are often vast, complex and involve multiple sites and buildings,” said Mark Thomas, Director of Cortech Developments. 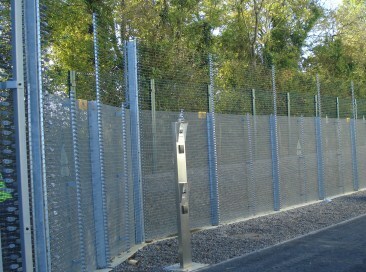 Harper Chalice is a leading UK manufacturer and supplier of electronic and electrified perimeter security systems. Datalog integration with Harper Chalice’s network system, SecureBus, allows for the physical detection of three perimeter security products namely; PulseSecure™, FenceSecure™ and TriSecure. Complete control and monitoring of the systems as well as remote engineering features such as sensitivity adjustment’s and self-test options. Monitored network and cable faults around the entire system. Ability to integrate 3rd party devices and sensors through expander cards with total behaviour control and monitoring via Datalog. Datalog enables real time monitoring and control of multiple buildings and systems. From a central control room the events at a wide range of remote sites can be monitored and controlled quickly and effectively. Systems warnings, events and alarms are all clearly identified [with pre-determined help information] prioritised, graphically located and visually verified with automatic CCTV to enable a more efficient and accountable response. By utilising the SecureBus network to connect to Datalog, the system integrator and client know that the infrastructure and management process remains constant regardless of which detection systems are utilised on the site. The Datalog SecureBus integration is now installed and operational on its first site.